Each box contains 30 soft contact lenses each with a light blue handling tint in a buffered sterile saline solution. Material: Oculfilcon D 45%, Water Content 55%. 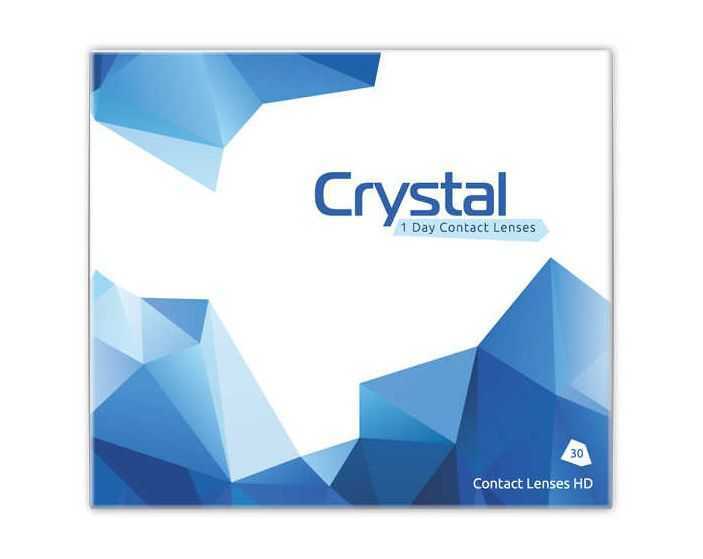 New: We have introduced a new daily lens for dry eyes and even more comfort - Crystal Hydro. A great replacement for 1 Day Acuvue Moist and Focus Daily Aquacomfort plus.